Bai Feng Wan – 200 ct. 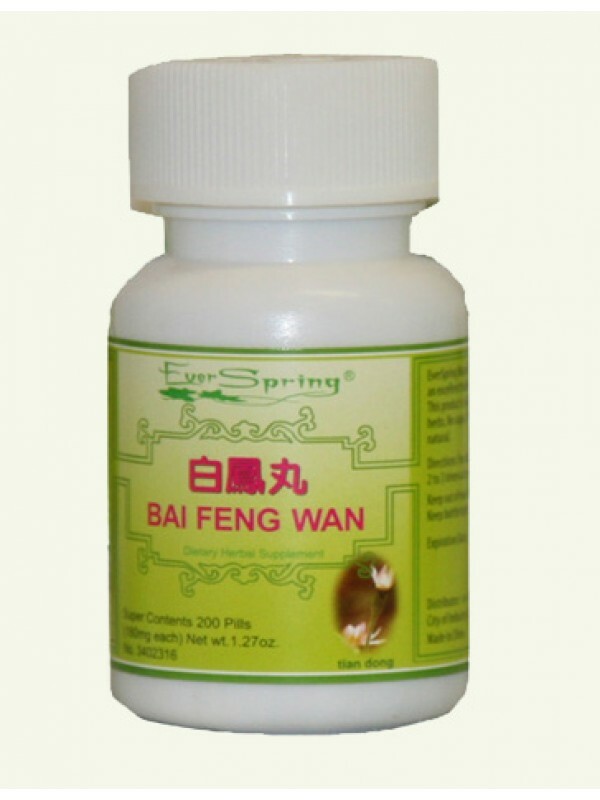 Product Code: Bai Feng Wan - 200 ct. This Traditional Chinese formula invigorates Qi and nourishes the blood, helps to regulate menstruation and checks leukorrhea. The herbal formula is used for deficiency of both Qi and blood, emaciation, weakness and soreness of the loins and knees, irregular menstruation, metrorrhagia, metrostaxis and leukorrhea. This product is not intended to diagnose, treat, cure or prevent any disease.